BALB/c is an old strain with several extant distantly related substrains. Along with a few other strains it has been a major tool for studies of substrain divergence and theories for genetic variation among substrains (Bailey, 1978 and other papers in Morse, 1978). 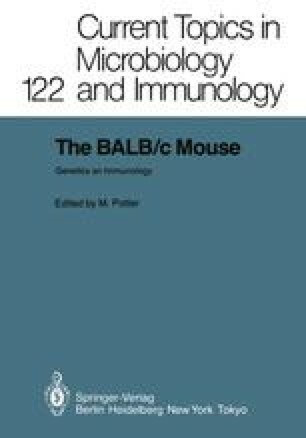 As summarized by Potter (these proceedings), BALB/c also has important bio-medical characteristics, for which the etiology may be clarified by further definition and study of substrain phenotypic and genotypic variation. This paper describes work to define genetic variation between BALB/c and other strains and among BALB/c substrains.